We are proud to showcase a selection of testimonials from the Odour Management and Odour Control Services we undertake for our customers, as well as reviews for our accredited Odour Study Day course. At Biogen, we regularly take odour samples from around our sites. This forms part of our Best Practice activities within our Odour Management Plans. By being proactive, we’re able to demonstrate compliance with our operating permits to the regulator, and ensure we’re not impacting the communities we work alongside. Our in-house teams conduct the odour sampling activities, with Silsoe Odours completing the subsequent odour testing. I knew of Silsoe Odours from my previous role, and from attending their Odour Study Day training course. 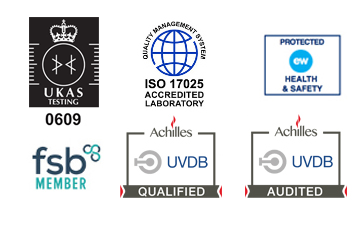 We’ve now been working closely with them for over 10 years , and they have proven themselves a highly trusted partner. The team at Silsoe Odours are knowledgeable and friendly, and the laboratory services they provide are second-to-none. I cannot recommend them enough for their understanding of our business needs, flexibility and efficiency. Their odour specialists are also a valued source of helpful, prompt advice. Thank you for the prompt, efficient service. We were seeking planning permission for a development which is adjacent to a site with known odour issues. We had completed our own survey, but the council asked for an independent odour assessment. We approached Silsoe Odours as had previously had a good experience with them for olfactometry work, and knew they had prior knowledge of the site. I was particularly impressed with the way they presented and summarised their data. It was easy to understand and presented in such a way that the layman could understand. I wouldn’t hesitate to recommend Silsoe Odours and look forward to working with them again in the future. RSK’s specialist Air Quality and Odour team carries out odour assessment and monitoring and expert witness services for clients from all sectors, and all these are underpinned by robust odour sampling and laboratory intensity determination. We have worked with Silsoe odours for many years, and have always been impressed with their friendly practical approach, technical expertise and flexibility. We look forward to working with Silsoe Odours again in the future and would not hesitate to recommend their services. Silsoe Odours are invaluable to me as a partner for testing odour samples. I use their laboratory services, on average, several times each month, for many of my clients. Silsoe Odours are a great source of expertise and allow me to offer clients an integrated odour consultancy experience, without the associated overhead and resourcing costs of operating my own laboratory. They understand both my needs as an independent environmental consultant, and those of my clients – whether utilities or multi-national operators. The flexibility and ease of working with Silsoe Odours is hugely valuable. I don’t hesitate to recommend their services. I needed an odour specialist to assist me with a sensitive planning application. I approached Silsoe Odours on the recommendation of my architect. I was particularly impressed with the speed which which they attended site and delivered their report back to me. I now look forward to the outcome of the Planning Hearing. I was introduced to Silsoe Odours by another consultant, as I required specialist odour consultancy advice to support a planning application. The application building was to be converted into residential use, but was in close proximity to a number of restaurants with associated extraction equipment. I needed to demonstrate that this would not be detrimental to the potential occupiers of the apartments. Silsoe Odours prepared a detailed report and ensured it was delivered in line with the deadline of the submission of the planning application. I would recommend their specialist services to anyone encountering odour queries in the planning process. I’ve always been happy with the service provided by Silsoe Odours and have engaged them both at 2 Sisters Food Group and in my previous position. They are professional, very knowledgeable and provide an experienced crew. We recently experienced some pressure from the Environment Agency and the local community around an increase in odour complaints. I asked Silsoe Odours to conduct some odour sampling, to help us prioritise the most odorous sources. I would be happy to recommend their services and indeed have done recently to our Sunderland site. I thought the day was really useful and informative and a great chance to network. It was really useful to become a “lab rat” and do the sniff tests as it would help me to explain to customers how odour is assessed and tested in terms that they would understand rather than just saying “it gets sent to the lab”. I found the day very useful and was at the right level for me gain more of an understanding of what monitoring can be undertaken at different sites. I hopefully have more confidence when examining odour dispersion modelling reports. I found the day really interesting and informative. The case studies were especially useful; identifying what went well, what didn’t and how the root cause was identified as this is the kind of investigation we would be undertaking and will help us immensely in the future. The practical session was also eye opening and definitely helped me to appreciate that everybody experiences smells differently! The day was very well balanced and had a great applied feel to it. One of the better seminars that I have attended. Enjoyed the course. Good pace and not too technical. Practical session was very interesting, and the various scenarios focussed my knowledge towards what I learned today. Wide range of topics covered and good facilities. All presentations clear and allowed interaction/questions. The overview of how samples are captured and analysed was great to see, and to actually experience odour detection. Odour testing was very good. I enjoyed the laboratory experience… as interesting to see how odour is analysed. “Miller Goodall has been completing an ever-increasing number of odour assessments. With this in mind, we decided it was the perfect time to hone our skills and undertake a training day. We chose Silsoe Odours because it offers the only CPD-certified odour management and odour control training in the UK. It is also accredited by CIWEM and endorsed by IAQM. The course provided a wide overview of different odour sources and a range of methods to quantify odour and case studies. Odour modelling was also covered. This was of particular interest to us as we frequently model emissions from road sources and industrial point sources. We heard from a variety of speakers including Silsoe Odours, RSK and Cranfield University. It was invaluable to have presentations from different establishments to gain a comprehensive insight into monitoring, modelling and mitigating odour. A major selling point of the course is that you can also have a go at ‘sniff tests’. These take place in the UKAS-accredited odour laboratory, where you can see if you have the nose for odour testing! Importantly, taster odour sensitivity tests allow delegates to check if their sense of smell is within an acceptable range. I really enjoyed learning the various mitigation strategies for odour control from a variety of sources. I feel confident that I can provide Miller Goodall clients with the best and most up-to-date advice around the reduction of odour emissions. I found the day extremely interesting and useful. The quality of the talks was excellent and the content was very relevant to everyday applications. It was a useful forum to share experiences between operators, consultants and regulators. I also found the odour sensitivity test interesting and it is useful to understand where on the spectrum of sensitivity you fall when dealing with odour assessments. I would definitely recommend the course to others. I found the day very useful and informative and I’m sure it will help me in my day to day work. I found the laboratory testing enjoyable and it was valuable as I’ve always thought that my sense of smell was better than the testing revealed! Useful to experience the lab and get more info/experience on the sampling/olfactometry. The section on odour modelling was very helpful for my job, dealing with planning applications and odour complaints. Presenter was very good too at describing a technical detail. Really enjoyed the whole Study Day. Well organised, well timed, excellent food and refreshments. Very informative and educational. I enjoyed the lab session – to understand how olfactometry testing is undertaken. Also enjoyed listening to the presentation on odour abatement. The case study presentation was also interesting – reminded me that often it’s not always the obvious odour source causing the problems. I found the course to be very worthwhile and hopefully will return again in future. Enjoyed the presentations, was interesting to learn about the smell testing and to try it. The nose sensitivity test was very interesting and informative. It was useful covering the techniques used by experts with whom I work and enhanced my understanding. Content of course good and lab visit. The training was well-delivered and informative, covering the methodology well and giving an insight into both sides of the process. It was good to find out how good my sense of smell is. I’m new to Environmental Protection. This has made sense of a few knowledge gaps I have. Very useful. Presentations very informative and sniff test good to do. I learned a lot being new to the waste industry. I enjoyed the full range of content that the course showed. It was very informative and helped me further understand odour issues. Easy to follow presentations made it a well structured learning experience.